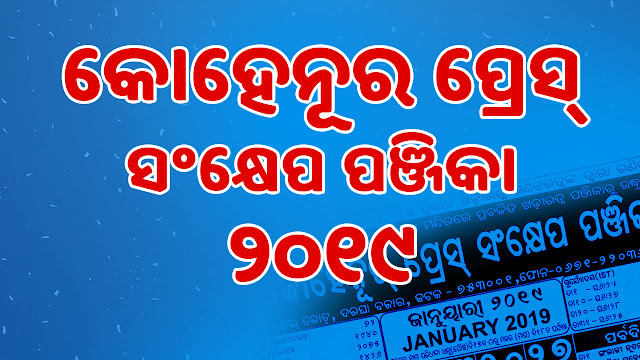 Odisha Kohenoor Press Sankhep Odia Panjika gives you day to day information in brief about Tithi, Nakshatra, Amavasya, Poornima, Ekadasi, Shiva Chaturdashi (BedhAs), Marriage Dates, Solar Eclipse, Lunar Eclipse, Upanayana Tithis, Shop/Home Inauguration Dates, etc. As always OdiaPortal brings you everything just on your your fingertips. 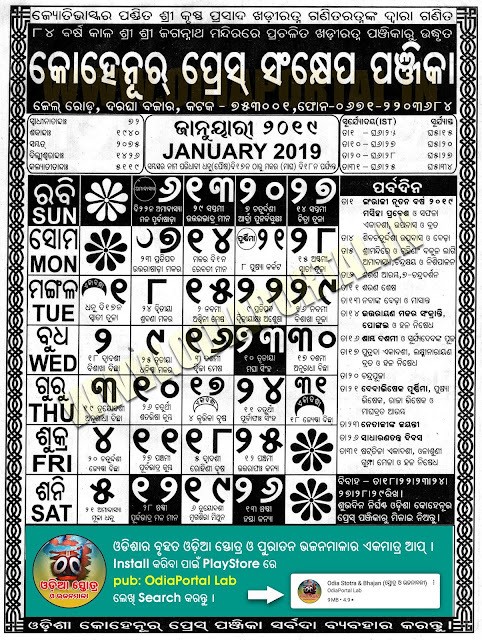 Lets download 2019 Kohenoor Odia Panjika (Calendar) in PDF (e-Book) mode to see or use in your work 24x7. Plz All calender to be fit in one pdf file of year 2018.